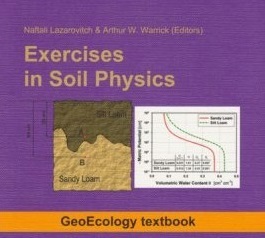 Naftali Lazarovitch and Arthur W. Warrick, Exercises in Soil Physics, Catena Verlag GMBH, Reiskirchen, Germany, 352 pp., ISBN 978-3-93381-60-9 US, ISBN 1-59326-264-7, 2013. Unzip downloaded HYDRUS projects into a single folder. Start HYDRUS and open the Project Manager. From the Project Groups Tab click New. Define the Name (e.g., Meteo, VZJ, Fracture) and Description, and browse to the folder with downloaded HYDRUS projects. After clicking OK, the new Project Group should be fully defined and accessible using the Project Manager.